Hey, so….it’s time once again to launch myself into the Woods of Wunder with all my Doo brethren and sistren! I thought I might send a postcard from the artist village to whomever might chance to want one this year. That’s right, I’m gonna send postcards to my pals from the heart of Doo-Nanny. If you want one please put your John Henry below in the comments-place (I’ll collect your address afore we pack up to leave out at the beginning of next week). International friends, you are most welcome to participate! Here is the catch, because there is always a catch, son: It may not be signed by me. 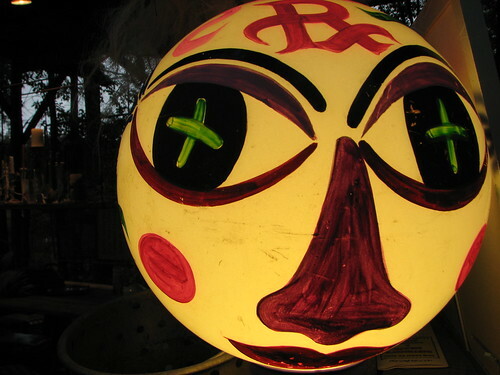 It may be signed by a world-famous folk artist! Or just some freak who likes bonfires. Or the one laydeh who always hangs around the kitchen, waiting for me to put out more salsa. You just never know! DOO-NANNY! \0/ Collaborate, initiate, investigate, propagate, stay up late, create, inflate, relate! Burn stuff! Whoop, holler, dance, sing, hug a neck and pat a back! Amen and amen. Since the dawn of Nick’s new man-sized stature and 34″ inseam, there has been some frustration over jeans and khakis inside our normally-peaceful four walls. The kid is an absent-minded genius and just grabs pants that look like that could maybe-probably-perhaps belong to him, no matter what methods Maxim has employed to deter this sort of thing. We gather in warm brick houses with brocade paper on the walls. Candles burn in jars and the hands of the boys move so quickly that they become blurs as they play. The people are happy, the people are smiling and clutching one another mirthfully as they dance. Singing, urging the band on, they are fevered and joyful and shine; the people shine so hard that the stars would be jealous if the roof was not protecting their feelings. There is shalom in every bounce, in every handclap, in every laughing face of every dark-haired girl. Dance, women. Shout, men. Play on, beautiful music-makers. Hold back the evils of the world, make us one with each other. Help us to hear God.